Oops I missed a couple of these didn’t I! It’s SKETCHBOOK FRIDAY on a Sunday! I had this idea for the Mario 3 sun and a silhouette of Mario forever. I’m gonna digitize it and check it off. 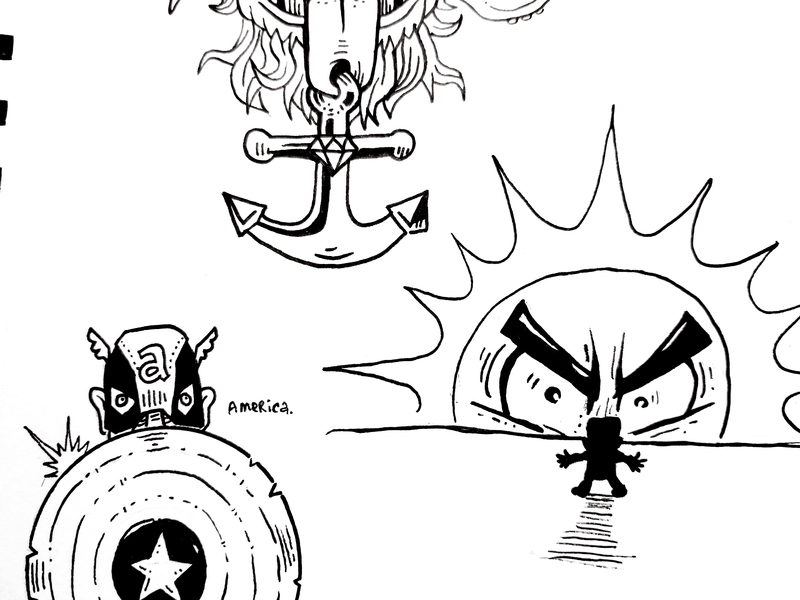 Also there’s a little American superhero boy. Above that is a familiar drawing of an anchor tongue. Yahoo!